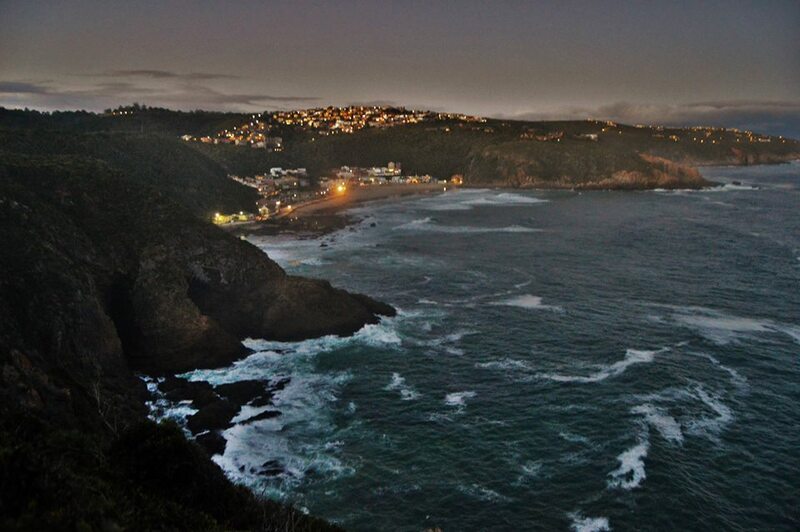 The coastal village of Herolds Bay originated on a section of Dirk Lamprecht’s farm ‘Brakfontein’ in the 1900’s, and was originally known as ‘Sandstrand’ (Sandy Beach). The village is named for the first Dutch Reformed minister who held office in George in 1823 - Tobias Herold, and who was also an avid angler. The first permanent known Herolds Bay resident was a Mr. Thompson – who survived a shipwreck in 1920, and took refuge and permanent residence in a cave for a period of eight years. 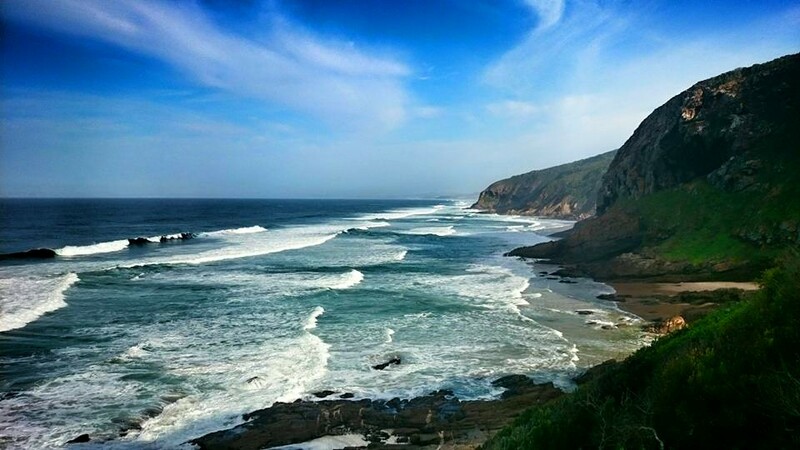 Herolds Bay is historically renowned as a seaside holiday destination, where residents from George and surrounding areas enjoyed camping- and seaside family holidays. The village’s popularity spread to include holiday makers further afield, from Oudtshoorn and the Klein Karoo. Two well-known George businessmen capitalised on the popularity of the destination, and John Urban and ‘Uncle Meyer’ sectionalised erven in 1904 to accommodate holiday makers’ tents and wagons. Building material was carted from George to Herolds Bay by mule. The first holiday home constructed, was for Matilda Howitson from Blanco - formally establishing Herolds Bay as a seaside holiday destination. Its appeal and popularity as a coastal holiday destination remains to date, as Herolds Bay retains its quaint charm and appeal as a destination for tranquil respite. Herolds Bay is situated in a sheltered rocky coastal cove, 17 kilometres west of George, where sand, sea and sky converge in an azure delight. Lush indigenous coastal Fynbos create a natural haven for birding enthusiasts and nature lovers, and the tidal pool is a popular place where families and beachcombers congregate. Ernie Els’s signature 18 hole golf course is located in Herolds Bay and stretches between the Gwaing River Valley and the Indian Ocean; complemented by the natural landscape and rugged coastal cliffs. Accommodation in Herolds Bay include holiday resorts, luxury apartments, bed and breakfast establishments, self- catering amenities, a caravan park, lodges and the luxurious Oubaai hotel, of international repute. There are a number of restaurants in Herolds Bay and cuisine includes popular South African menus, gourmet pub fare and fine dining. Activities and leisure in the area include: Golf tours, Whale watching, Bird watching, Mountain biking, Coastal walks and trails, Scenic drives, Music festivals, Fine dining, Beach holidays, Swimming, Luxury holidays, Nature trails, Surfing, Salt water angling, Golf museum, Archaeological sites, Historic buildings. Rock angling in remote scenic spots such as:Scott’s Bank, Dollieskraal, Dutton’s Cove, Maalgatenrivier & Voelklip. Due to its quaint beauty and picturesque charm, Herolds Bay is a popular wedding and honeymoon destination, offering a wide selection of wedding venues and destinations.